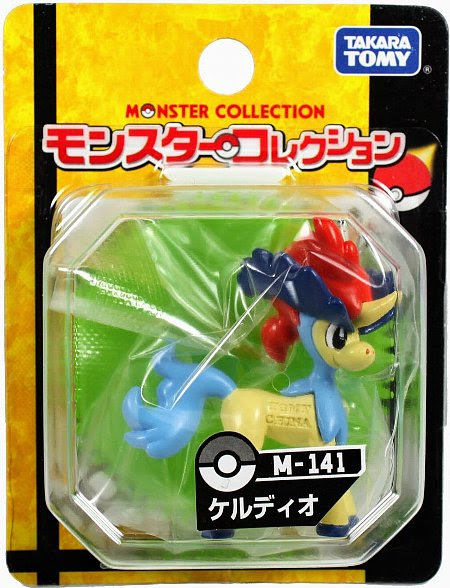 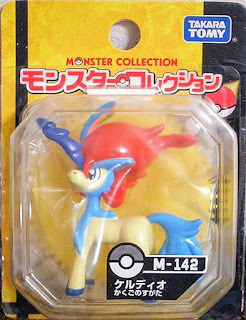 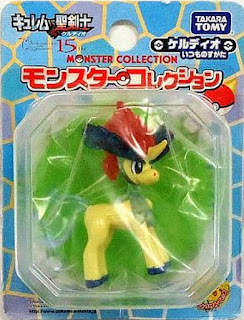 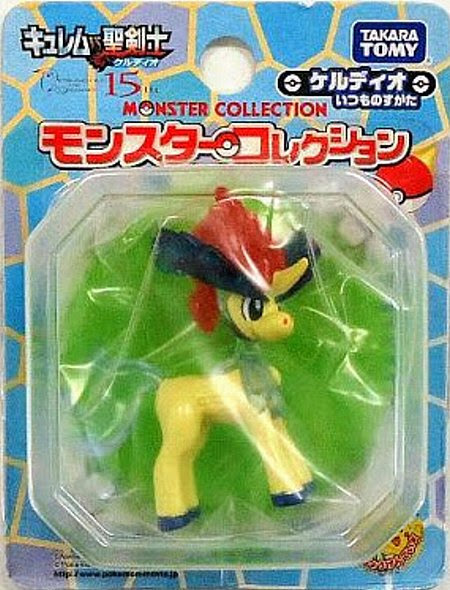 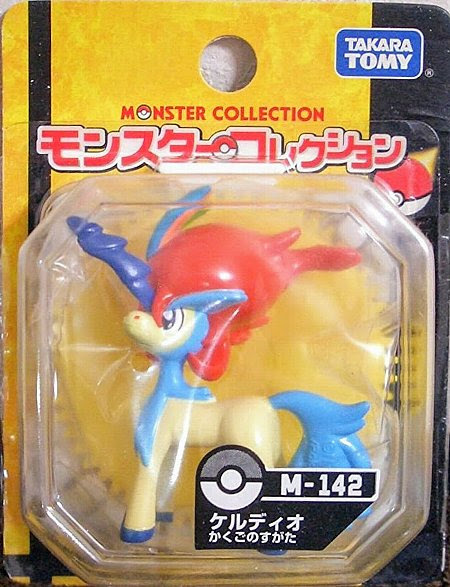 Pokemon figure Takara Tomy Monster Collection M series Keldeo ケルディオ Ordinary Form and Resolute Form. 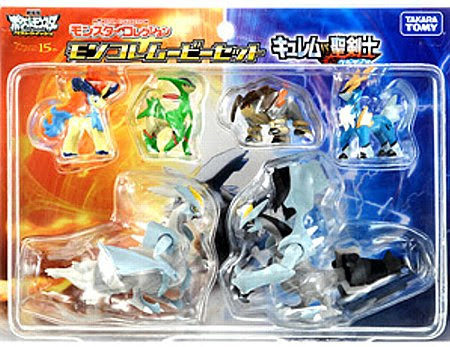 Ordinary Form in 2012 Kyurem movei set. 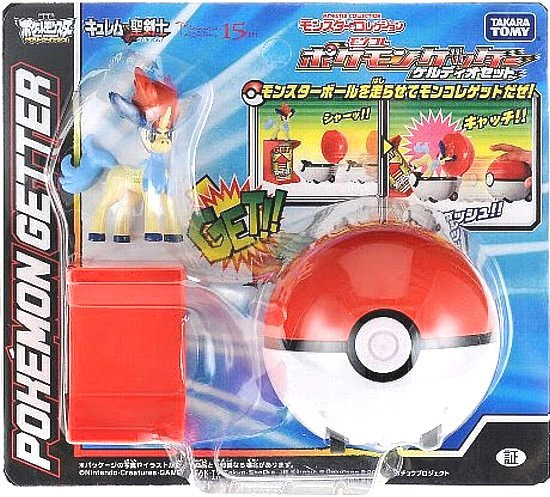 Ordinary Form in Pokemon Getter Kyurem Play Set. 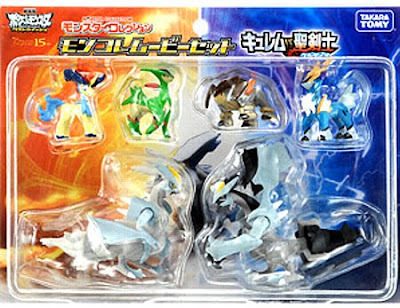 Clear version in 2012 movie promotion. 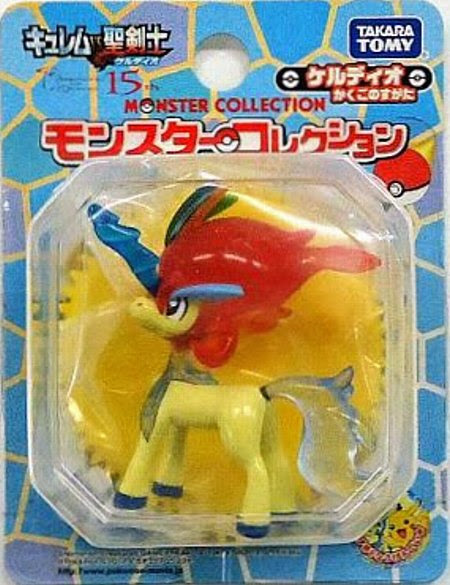 Keldeo in YJ Auction ?